Welcome to the Bowman Riley website. Bowman Riley provides this site to you subject to the following terms and conditions. Please read the terms and conditions carefully – if you visit our site you are deemed to have accepted them. Please leave the site if you do not. Your privacy is important to us. Please review our Privacy Statement, which also governs your visit to our site, in order to understand our practices. 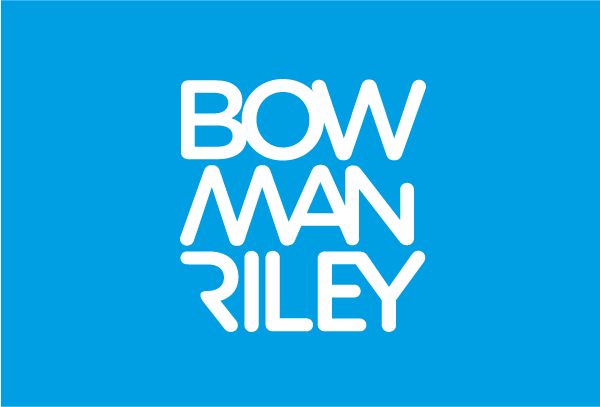 Whilst this site has been compiled in good faith, Bowman Riley’s Website makes no warranty or representation that the use of this website will be uninterrupted or error-free or that this site or the server that makes it available are free of viruses or bugs. To avoid any doubt, articles and other information are for general guidance only and should not be specifically relied on without taking advice. To the full extent permissible by law, Bowman Riley’s Website assumes no responsibility or liability for any information published on this website and further disclaim all liability in respect of such information. In particular, Bowman Riley’s Website hereby excludes all liability for any claims, losses, demands or damages of any kind whatsoever in relation to any information, content or advertisements. Links to other sites are made at your own risk and Bowman Riley’s Website accepts no liability for any linked sites. When you access a non Bowman Riley’s Website third party website, please understand that it is independent of Bowman Riley’s Website and Bowman Riley’s Website has no control over that website and the link does not mean that Bowman Riley’s Website endorses or accepts any responsibility for the content or the use of such website. You must take your own precautions to ensure what is selected for use is free of viruses, worms, Trojan Horses and other items of a destructive nature. These terms and conditions of use shall be governed by the laws of England and Wales and are subject to the exclusive jurisdiction of the Courts of England and Wales. We reserve the right to make changes to our site, our policies and these terms and conditions of use at any time. If any of these conditions are deemed invalid, void or for any reason unenforceable, that condition shall be deemed severable and shall not affect the validity and enforceability of any of the remaining conditions.